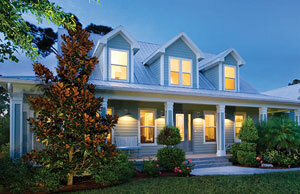 Photos of the grand opening of our new model are coming soon. 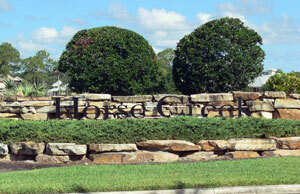 Horse Creek is another fine development by Daniel Wayne Homes, the creator of Coconut Creek, Caloosa Creek, and Hammock Creek at Verandah. 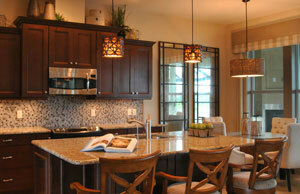 Those who know these communities know Daniel Wayne Homes’ ability to transform nostalgia into style. One of the first to build Olde Florida style communities in Southwest Florida, Daniel Wayne Homes authenticates the notion with special attention to the natural environment at its newest community, Horse Creek. Wondering where you can find quiet strolls, wide open spaces, cricket symphonies and a good old-fashioned starry sky these days? They’re now available at Horse Creek. Located on the Orange River in the midst of The Buckingham Rural Preserve, an area forever protected from development, this new gated community presents a lifestyle in harmony with the natural beauty of Florida. The 220-acre community has approximately 100 acres of nature preserve and lakes. Meandering trails through genuine Florida green spaces are filled with natural wonders and provide a serene haven for exercise and exploration. Your choice of River View, Lakefront and Preserve View home sites come with nature’s amenities, enhanced by Daniel Wayne Homes. We found a hidden gem when we discovered Horse Creek. We’re so happy that our kids will grow up with a big yard and we love the charming style and quality of our Daniel Wayne home.